Wondering if permeable pavements or porous concrete is the way to go for your upcoming paving project? Our team at WaterPave can help you to see the lasting benefits of installing pervious paving and help you find a product to perfectly match your paving preferences. Porous concrete and paving help to prevent potentially harmful storm water run-off from entering waterways. Instead, the design of the paving material allows the water to be absorbed into the ground below, cleaning the water and preventing ground dry-out that often occurs underneath non-porous paving or concrete products. They also reduce the overall surface temperature; a big plus when it comes to summer! Suitable for residential or commercial work as well as council development projects, pervious paving is a durable and versatile alternative to other concrete or tarmac alternatives while also having the added benefit of a more attractive overall appearance. 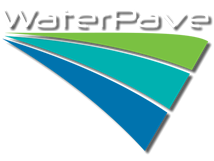 At WaterPave we provide both DriveTec™ and DriveCon™ systems. To learn more about which one will best suit your paving needs you can chat to our dedicated team of experts by simply clicking here.